Legendary film director and actor Bill Duke (center) surrounded by Ron Hicks, Senior Director of Government Affairs and Community Outreach for Advance America with staff and board members of Paul Public Charter School at a screening of Duke’s “Dark Girls” documentary; February 29, 2012 at the U.S. Navy Memorial in Washington, DC. Known as the legendary African American Godfather of American cinema, Bill Duke has a string of acting credits that include Predator, American Gigolo, Car Wash, Menace II Society, Bird on a Wire, Get Rich or Die Trying, X-Men 3 and many others. His accomplishments behind the camera are just as impressive, directing films such as A Rage in Harlem and Hoodlum. As the founder and CEO of Duke Media, Duke has successfully produced film and television for over 30 years. He recently joined the ranks of directors Stephen Spielberg, Alfred Hitchcock and Clint Eastwood by receiving a Lifetime Achievement Tribute from the Directors Guild of America. In addition to his motion pictures accolades, Bill Duke is a humanitarian and activist who devotes his time to charity and non-profit organizations. Duke is the Founder and CEO of the Duke Media Foundation, designed with the specific purpose of utilizing multimedia education to identify, address, and fund the eradication of issues impacting local communities including, but not limited to HIV/AIDS, education, diabetes and child molestation. The Duke Media Foundation provides media training for grade school and high school children and recently, with the help of Congresswoman Diane Watson, received a $100,000 congressional grant for the training of young people in creation of media and emerging platforms. Additionally, the foundation supports fundraising efforts for organizations involved in foster care, HIV/AIDS education, nutritional education, financial literacy, and gang intervention. BlackGivesBack (BGB) talked with Duke about his Foundation’s media program and how it will prepare youth for entrepreneurship and the future. The program will serve as an introduction to media and financial literacy by using an intense 10-week curriculum. Youth will learn how to create video games taught by African American programmers, build cell phone applications, and learn basic film techniques such as writing, editing for sound, color correction and sound mix. Youth will also be taught entrepreneurship and financial literacy. He shared, “My attempt is to have youth think they can be the next Bill Gates and Steve Jobs, and not just think about employment, but being employers.” Only 12 students participate in each cohort, and each youth will not be allowed to leave the program until he or she can teach the lesson learned that day. In Los Angeles, where the program is being piloted, Duke shared with BGB that 35% of youth there are dropping out of school before graduation: “There has to be some intervention that there’s a world out there, that you can be a part of which you can impact. If no one ever tells them, they don’t have that dream. We as adults have a responsibility and obligation.” Plans are to expand the program nationwide and the Foundation is currently seeking additional funding. 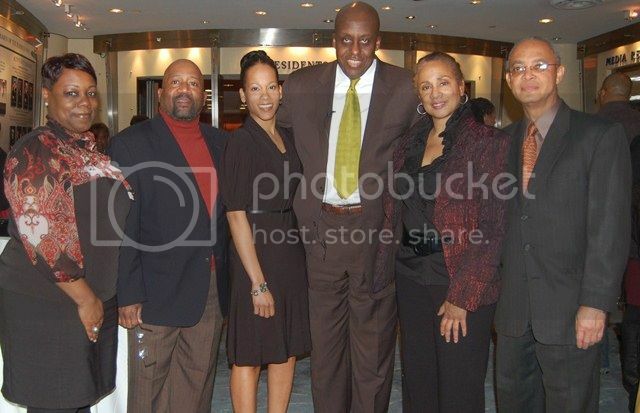 To learn more about the Duke Media Foundation and Bill Duke’s upcoming projects, visit http://www.billduke.com.